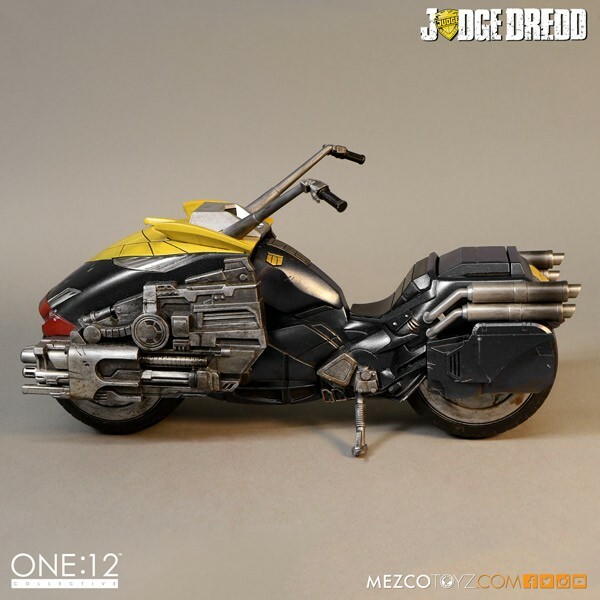 Heavily armored, supremely weaponized and with it's 4000cc V8 KT23 engine the Lawmaster is designed to dominate anything else on the streets of Mega-City One. 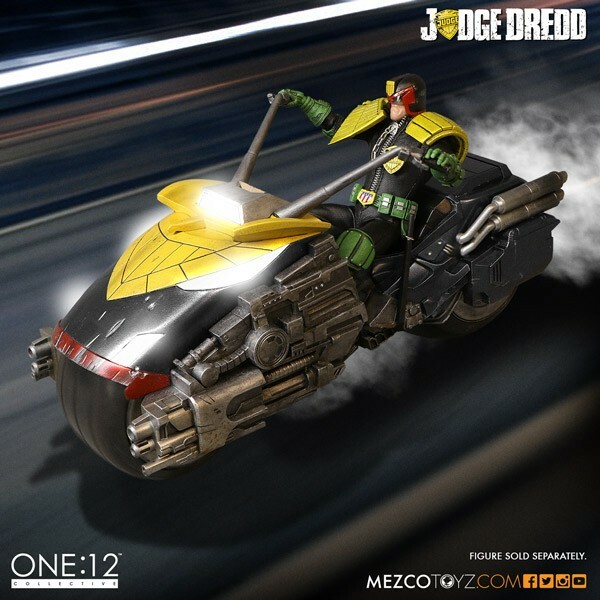 The Lawmaster is the Justice Department's greatest advancement in law enforcement transportation. 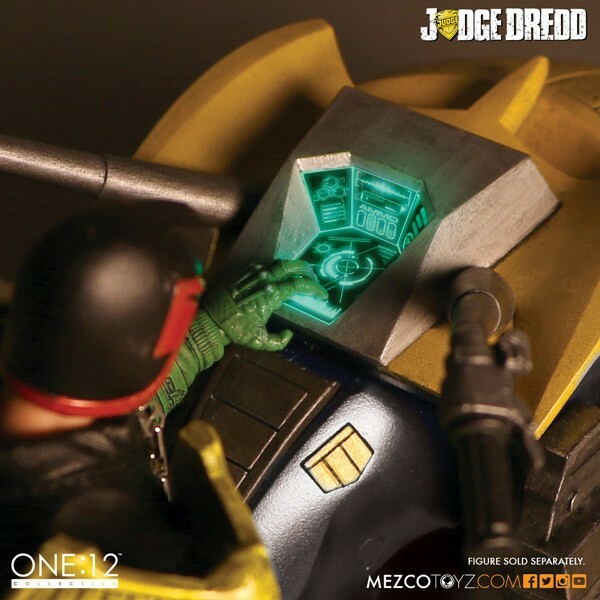 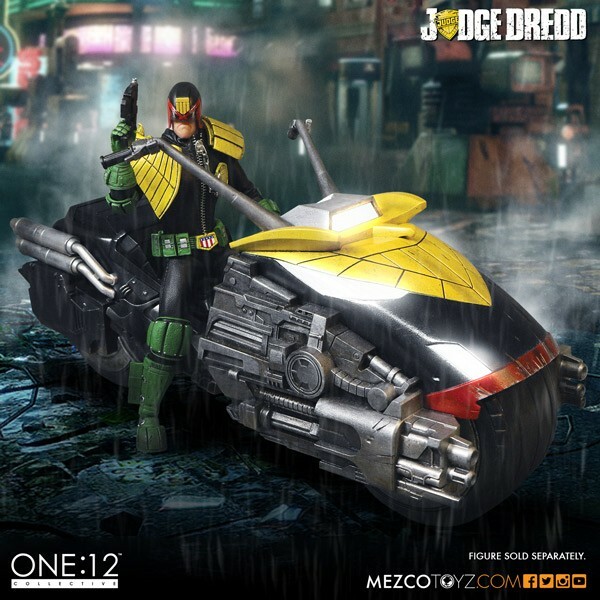 Digitally modeled and specifically designed to interact with the One:12 Collective Judge Dredd figure, the Lawmaster is teaming with amazing details and features. 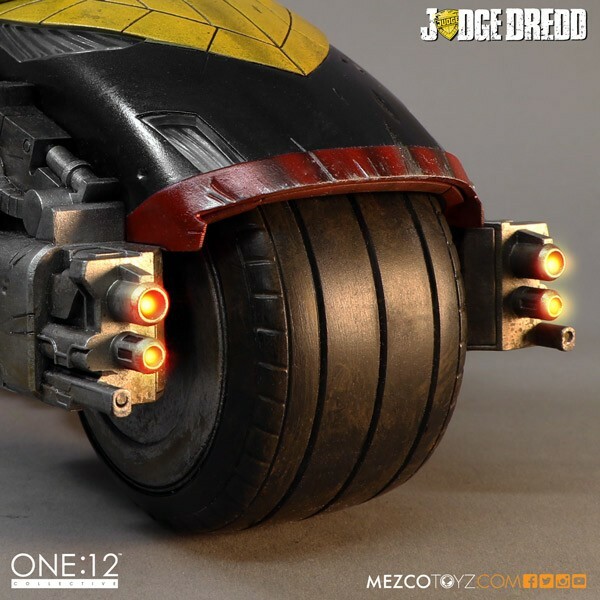 In cooperation with artist Ben Willsher, the One:12 Collective team has created a truly stunning collectable loaded with some incredible features. 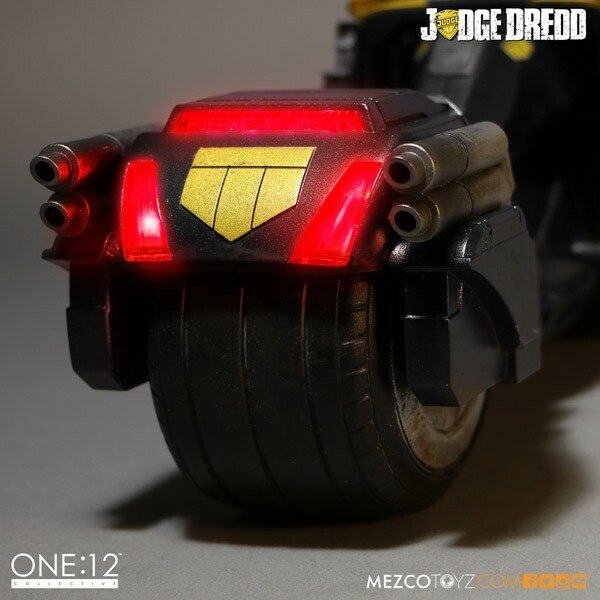 The Lawmaster's functions include 5 distinct sounds, multiple light-up features, free-rolling rubber-slick tires, turning handle bars, built in handcuff storage pod and a light-up Synitron GK13 onboard computer display. 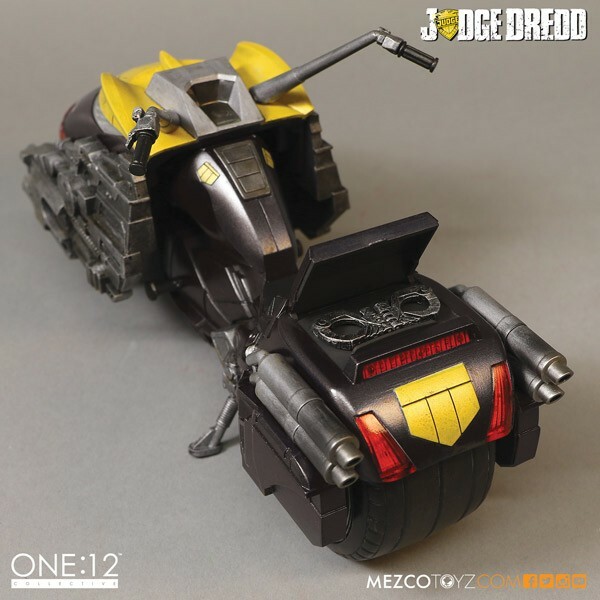 Coming March/ April 2016 for $125.00. 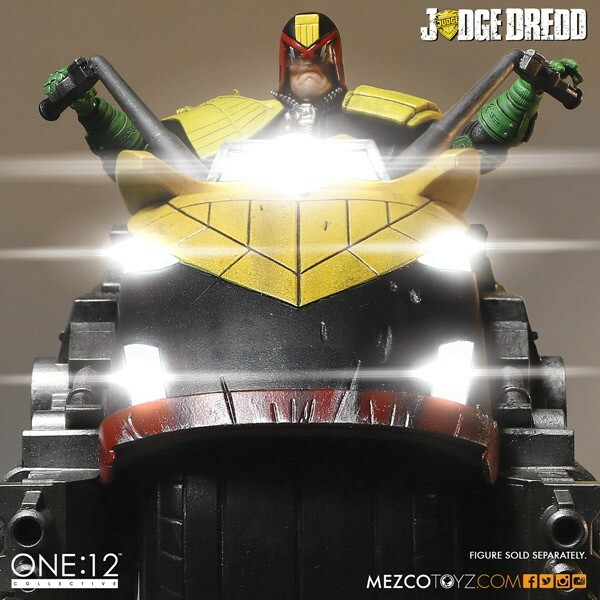 Drokk! 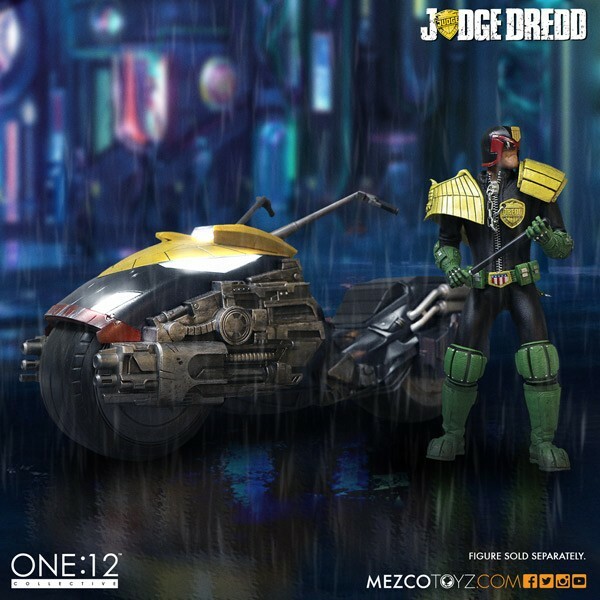 This looks lovely, but 3A is coming out with a "classic" Lawmaster, plus aren't they selling it with the figure for just $160?